Doesn’t sit right, does it? Because we all know it’s “Advance Australia Fair”. · An “Advanced” Care Plan would be a Care Plan that’s superior to other plain, ol’ Care Plans. A sort of Super Care Plan. Same goes for “Advanced” Health Directive. FYI the usage of the word “advanced” is really old – in the 1530s it emerged as an adjective to describe “being beyond others in attainment”. This is not a bad thing, but not A Thing. · An “Advance” Care Plan is a Care Plan that’s done ahead of time, that is, in advance. Another old word: “advance” in this context is a noun and even in the 1680s emerged to denote “something given beforehand”. Now that’s A Thing. 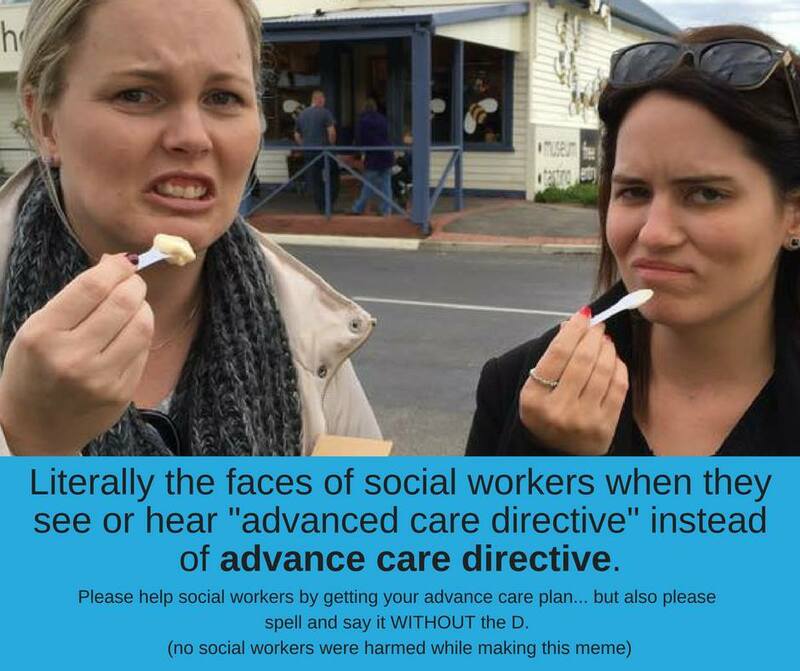 Advance Care Planning Australia puts it this way. Advance care planning is “about conversations and planning for your future health and personal care so that you, your family, friends, carers and doctors know your values and preferences.” It’s a process put in place ahead of time, and is something given beforehand. So an “Advance Care Directive” is a document done ahead of time and “…is a formal type of an advance care plan that is recognised by common law or specific legislation.” Advance care planning and Advance Care Directives are given before they’re needed.